A common physical failure within certain hard drives is platter seizing. This is when the platters are unable to spin up, and the drive is inaccessible. There are a number of possible causes for this type of failure. 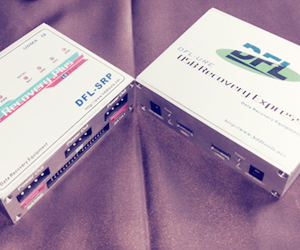 The two main drive types where we see spindle motor problems are in external hard drives and laptop hard drives. In external hard drives, the cause is typically due to the drive being bumped or jarred in some fashion. This results in the shaft of the spindle motor either being slightly bent or broken. Seagate hard drives seem to be especially weak in this area, and very prone to seized platters. 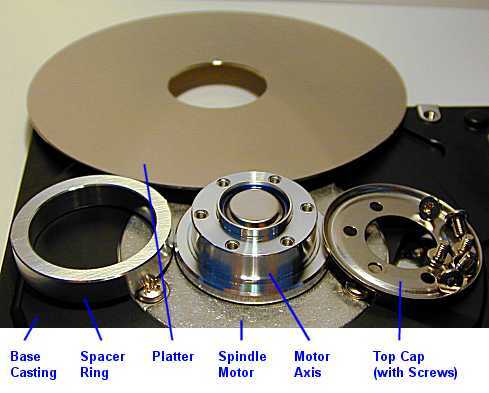 In laptop hard drives, we commonly see drives where the heads have moved from the parking ramp and onto the platters. This results in the heads seizing to the platters and the platters are then unable to spin up. Another common problem, mainly in Toshiba laptop drives, is a breakdown of the fluid dynamic bearing. In these cases the spindle motor is either unable to spin up to the proper speed, or the speed is erratic. The drive will usually make a loud “whirring” sound as well. In these cases the lubricant used within the bearing starts to break down and “gum” up. The thicker it becomes the harder it is for the drive to attain it’s normal operating speed. There are rare instances where a drive that is stationary within a desktop environment will also have a spindle motor failure. In some Seagate drives we have seen where the spindle shaft will actually develop a burr, and at some random point, the spindle motor will seize up due to the burr. Hard drives with seized spindle motors are almost always recoverable. Whether we have to transfer the platters over to another drive casing with a good spindle motor, or we have to repair the existing one, as long as the platters are not physically damaged, then the data should be recoverable.